Burkittsville offers several activities for participants to take in after completing the race. We are also in an ideal location to use as a jumping off site for visiting many nearby county, state and national parks. 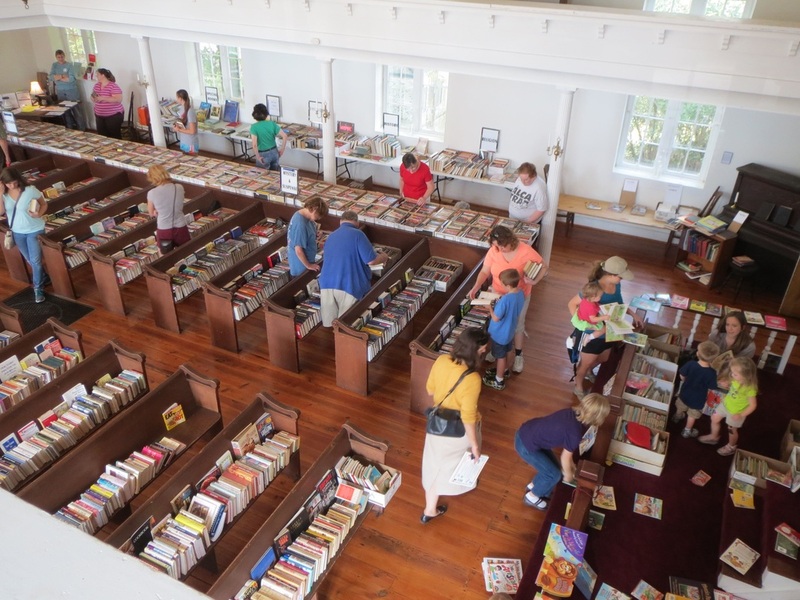 Here are some of the places to check out while you are in the area: The specials listed below are from 2018 and are for informational purposes only at this time. 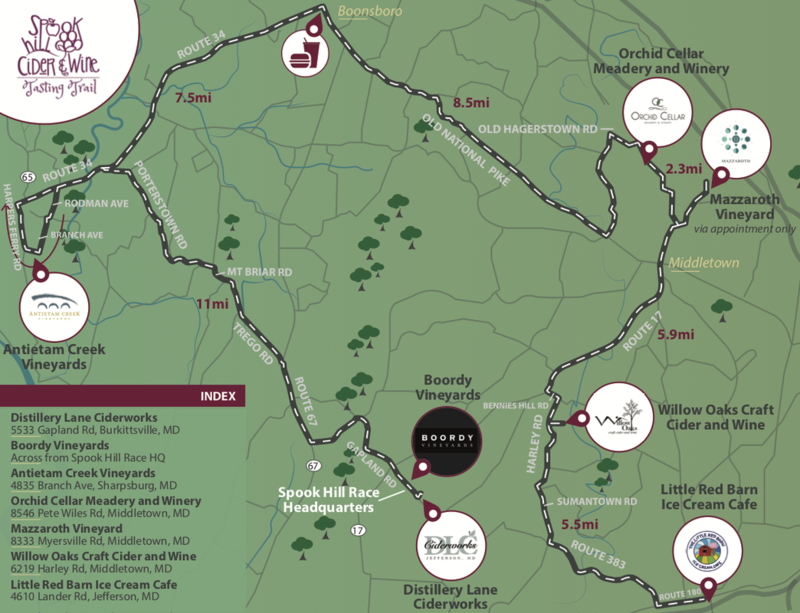 The participating wineries on the Spook Hill Wine Trail are all wonderful in their own right! These wineries have tasting fees that may or may not be covered by your Spook Hill entry fee, with most locations are offering Spook Hill participants special deals on race day. All specials are valid only on race day and are subject to change. Distillery Lane Ciderworks is located across the street from Spook Hill's race day HQ. Pick up hard or sweet cider and fresh-picked apples! Boordy Vineyards has been making Maryland wines for more than 7 decades and is based out of Baltimore County, but they grow many of their grapes here in Burkittsville on the eastern shoulder of South Mountain. 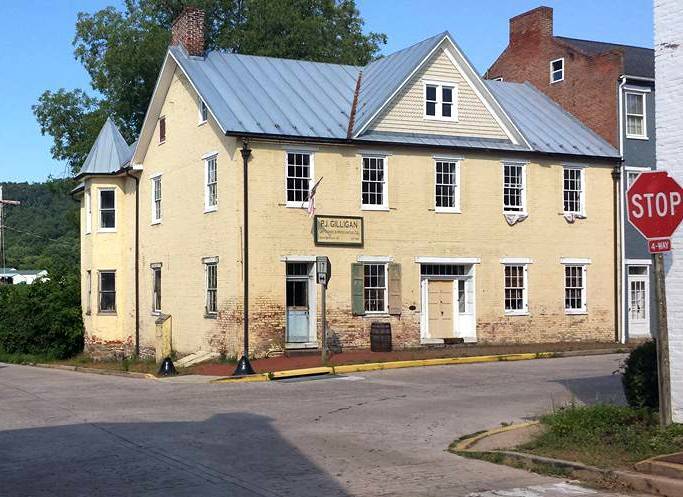 They will be in Burkittsville for Spook Hill offering tastings and sales of their tasty wares! Antietam Creek Vineyards is nestled next to Antietam National Battlefield in Sharpsburg. Opened to the public in 2017, their petit verdot was highlighted by US wine expert Richard Leahy during Maryland's TasteCamp 2017, as both "fresh and lively" and "stylish." It is situated 11 miles from race HQ and it is an absolutely beautiful trip over the mountain to visit Antietam Creek Vineyards. ACV will have live music indoors and a roaring campfire outdoors on race day! Willow Oaks Craft Cider and Wines opened in 2017 and is nestled in a wonderful location mere minutes from Spook Hill HQ. 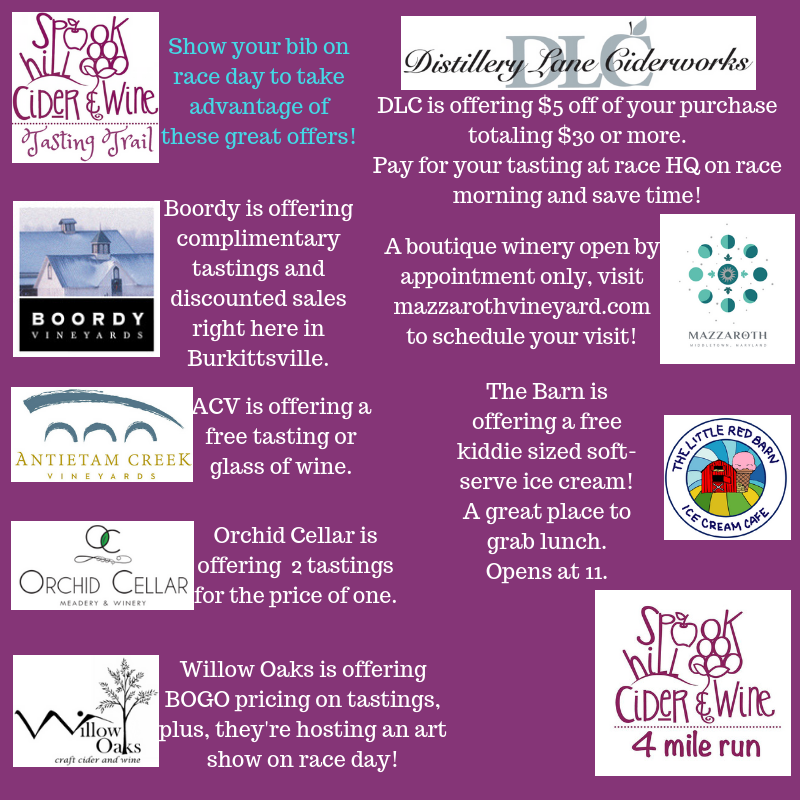 Try their small batch, organic wines and ciders in their newly renovated barn/tasting room/art gallery, which will be hosting an art show on race day! Orchid Cellar Meadery and Winery in nearby Middletown offers many different mead (fermented honey) and wines in a beautiful setting overlooking the Middletown Valley. Orchid Cellar's log-framed tasting room also has the artwork of many local artisans displayed throughout. If you've never tasted mead, here's your chance to get hooked! ​Hungry? Stop by participating restaurant, the Little Red Barn Ice Cream Cafe in Jefferson. Meeting your friends at the Spook Hill run? Leave your car in the Burkittsville Ruritan parking lot and drive the wine trail with your friends! 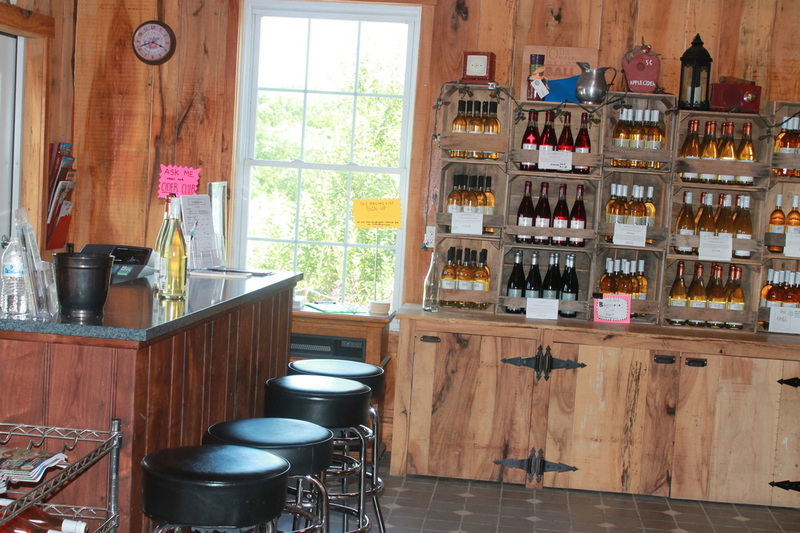 The last winery stop, Willow Oaks, is mere minutes from Burkittsville and completes the scenic loop. Located in one of the village's architectural landmarks at 3 East Main St., the former Resurrection Reformed Church, South Mountain Heritage Society houses a museum that explores the unique story of Burkittsville, its people and its role in significant national events. See the South Mountain Heritage Society events page for more details. Located on South Mountain a mile above Burkittsville is Gathland State Park, the site of the Battle of South Mountain on Sept. 14, 1862 and the elaborate Victorian estate of author George Alfred Townsend ("Gath"). 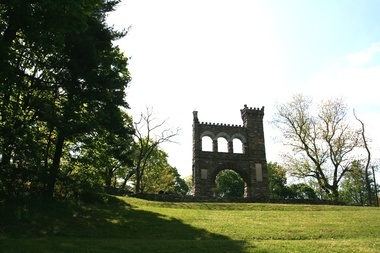 Since the 1950s, the State of Maryland has preserved Gathland's historic structures, including the War Correspondence Memorial Arch and maintains a museum and picnic facilities. Gathland SP is conveniently located on the Appalachian Trail. Conveniently situated across Main Street from the Ruritan Community Center, Distillery Lane Ciderworks specializes in growing a wide variety of apples, including prized heritage varieties perfect for cider, baking, and eating. Their family-owned and operated farm and cidery offers unique apple varieties plus fresh and hard ciders. On the day of the race, the tasting room will be open from before 10am - 5pm. Visitors to P.J. 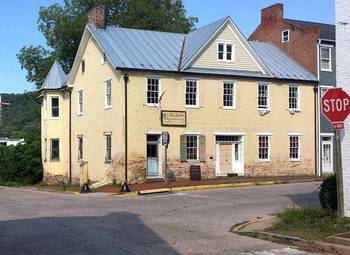 Gilligan Dry Goods step back into time inside Burkittsville's oldest surviving and best preserved commercial structure. Built in 1821 by town founder Joshua Harley, the store offers offer products for use by Civil War Re-enactors, owners of period houses who want to create that authentic 1860’s look, and customers who just want a unique gift. On the day of the race, the store is usually open at 11 A.M. Located mere minutes from Burkittsville, this Frederick County park offers wonderful indoor and outdoor nature center experiences and more than a mile of trail (some paved) to explore. There is ample seating for a nice post run picnic! 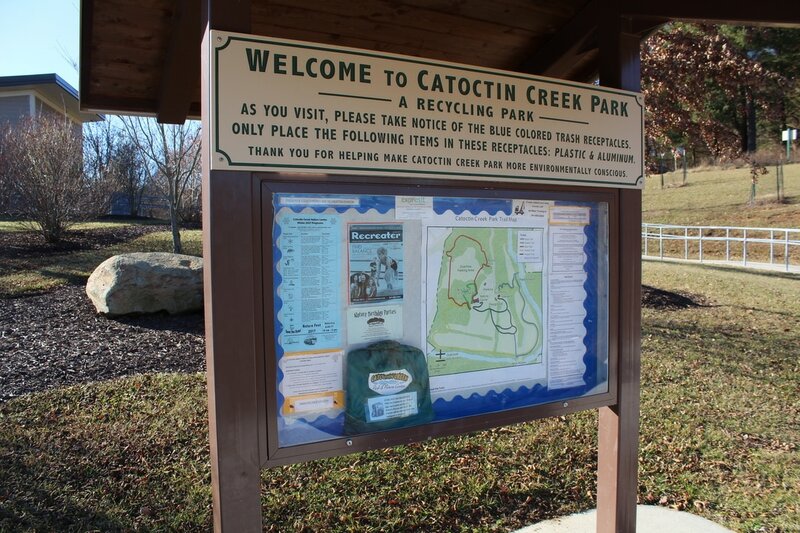 Catoctin Creek Park is the location of the SMHS Makin' Hay 10K, held each April.